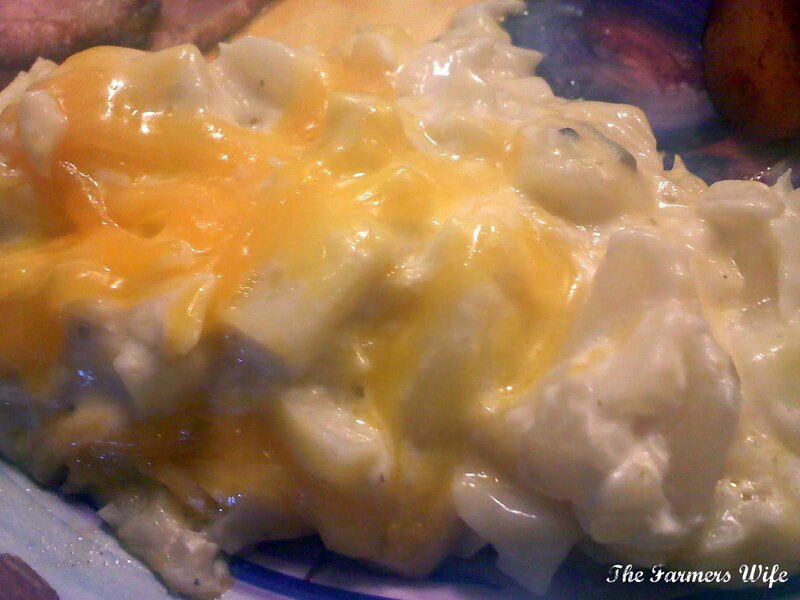 Mix potatoes, soup, sour cream, pepper and half the cheese together. Pour into an 8x8 glass pan and cover with foil. Cook at 375 degrees for about 1-2 hours (less if shredded). The last half hour, sprinkle remaining cheese on top of the potatoes to melt. Potatoes are done with it's bubbling in the center, and the potatoes are fork tender. You could also do this in a crock pot, but mine was already full from the ham.